Armchair with beechwood structure. 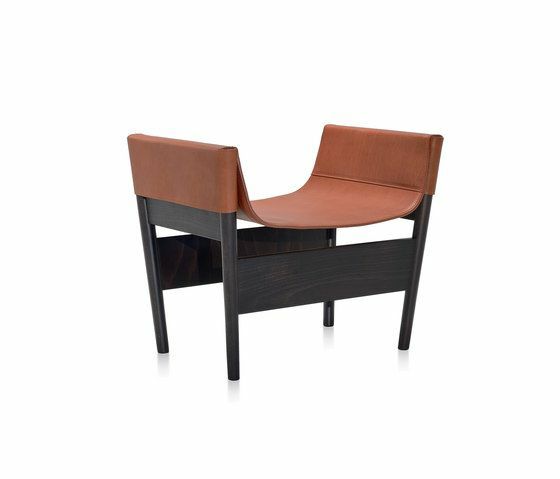 Self-supporting leather seat, back and armrest. Available with soft leather seat and lumbar cushions. Pouf with benchwood structure and self supporting leather seat.